A book about oddity. That’s what the most recent reviewer of y1 said it was and I can see how a reader might think that. To me, it’s much more a book about how each of us is odd, and how the world works so better when we allow ourselves to be what we are, and allow others the same privilege. Imagine for a minute a world in which people did not feel compelled to convince others to share their particular faith, political ideals, style of dress, sexual preference, or taste in anything. Offering is one thing. Compelling is another. 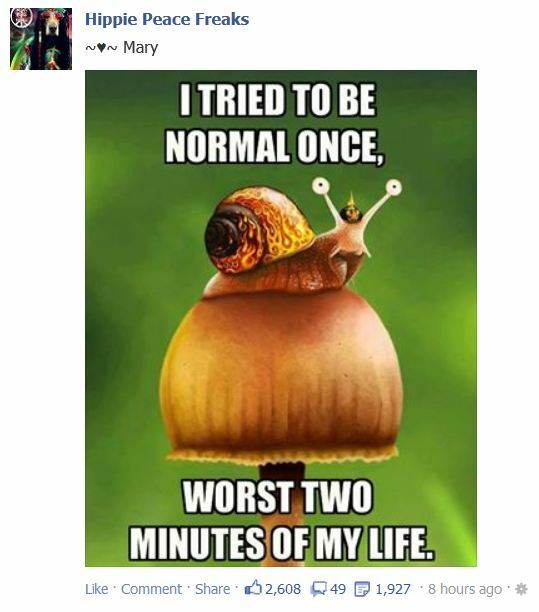 You being different from me does not make you wrong. It also does not take away from how wonderful I am. The only glitch is that your “true self” does not get to be a bully who forces everyone else to be like you or to pretend that they are. 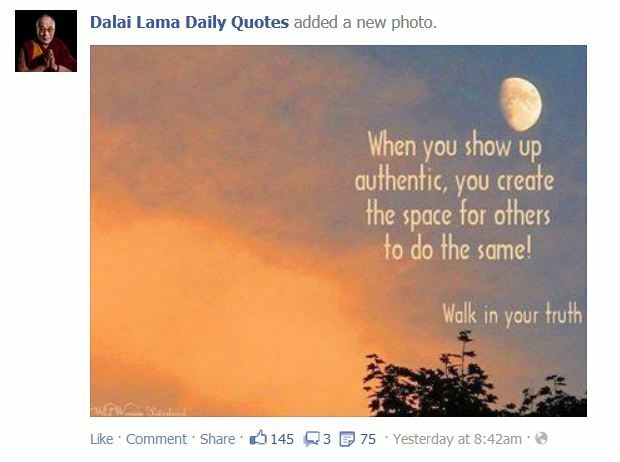 Thanks to good old Facebook, to a delightfully fun page there called Hippie Peace Freaks and to the Dalai Lama and his Daily Quotes for the these contrasting reminders of how important it is to be your own unique self. This entry was posted in freedom and tagged authentic, be yourself, Dalai Lama, Facebook, Hippie Peace Freaks, oddity, uniqueness. Bookmark the permalink.